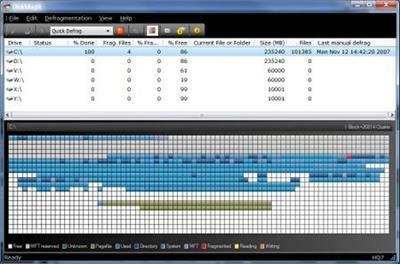 DiskMagik is an intelligently designed utility to defragment the hard drive of a Windows PC. Compatible with Windows 2000/XP/Vista, and Windows 7/8. It will help maintain your system in peak operating condition. A MUST-HAVE for computer users interested in maintaining their computer's performance. It is only for local drives and removable hard drives.